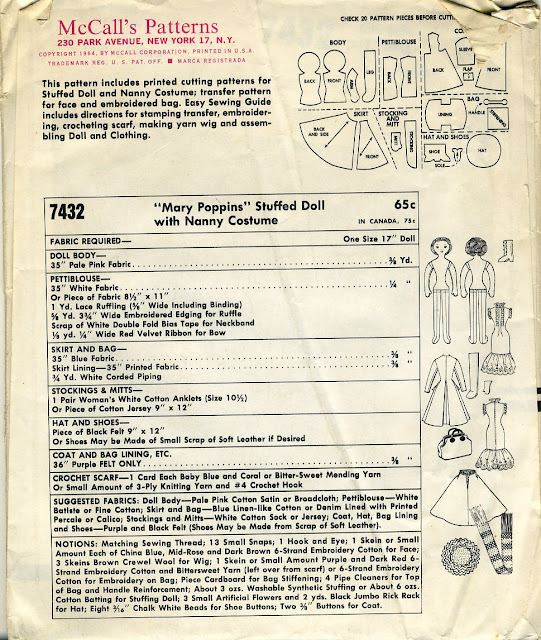 This great doll pattern was released in 1964 to tie in to Disney's "Mary Poppins" movie starring Julie Andrews. The doll is 17" tall and is designed in a separated pancake style for easy construction. She has mitten hands and is jointed at the hips and shoulders. She has crewel wool yarn hair and embroidered features. A transfer is included for embroidering her face and the pattern on her carpetbag. What makes this pattern special is her interesting outfit. 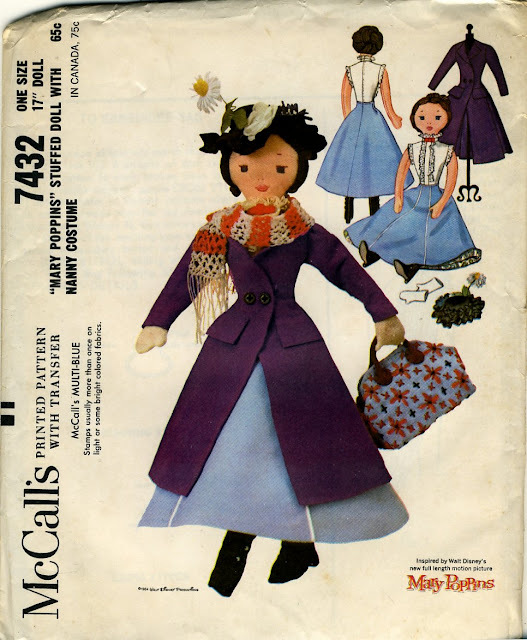 Her "Nanny costume" consists of a long skirt, lace-trimmed "pettiblouse," full-length felt coat with pleated back seam, embroidered carpetbag, gloves and stockings, unusual felt hat and boots, and crocheted scarf. For those who are tired of making the same old thing, this vintage pattern offers a breath of fresh air. 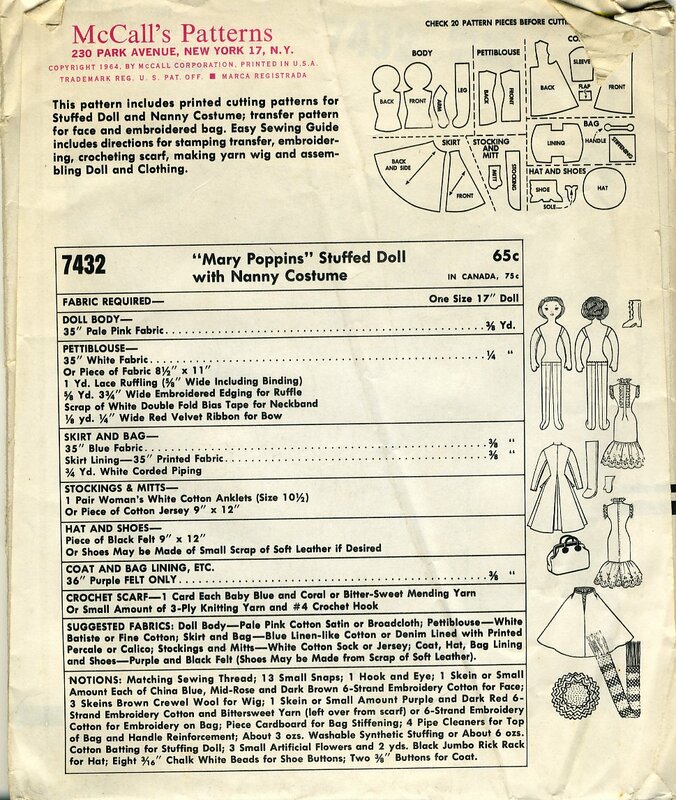 It would be interesting to adapt the wardrobe patterns to try and make some of the other outfits from the movie for the doll to wear. The accessories, particularly the carpetbag, would be useful for other dolls as well. I would love to hear from anyone who has made this pattern.